Note from Joy: The photo you see above is a very joyous beach in Mexico where I have soaked up the sunshine vitamin. Yes, I am a sun-lover. However, as much as I love the sun, I've certainly had my fair share of overexposure in past years -- that Mexican sun is STRONG! I'm more careful now, I limit my exposure and I wear sunscreen on my face every single day (it's in my facial moisturizer). Lucky for me, I have brainy Kate -- a new joyous intern working at Joyous Health! She's a sunscreen GURU. A survivor of skin cancer herself, she takes sun protection VERY seriously. This post is very informative. EnJOY! The meaning of the word organic is often shrouded in confusion, but it is never more confusing than when it is applied to sunscreen. Sunscreens can have two types of active ingredients (i.e., the actual sunscreen part of your sunscreen lotion or spray): organic and mineral. Now for the confusing part. In the sunscreen world, organic means chemical-derived. Organic sunscreen active ingredients can include chemicals because the term organic is used to describe how the sunscreens active ingredients work, rather than what it is made of. Organic, chemical-based sunscreens (e.g., avobenzone or oxybenzone) absorb and dissipate UV rays, while physical, mineral-based sunscreens (e.g., zinc oxide and titanium dioxide) scatter and reflect UV rays. Currently, for a sunscreen to be truly chemical-free, it currently has to be a mineral-based, physical sunscreen. Another reason mineral sunscreens are often preferred by natural health proponents is that they are designed to sit on top of your skin, while chemical-based sunscreens must be absorbed into your skin in order to work. The confusion doesnt stop with properly classifying the active ingredients. Many sunscreen manufacturers are incorporating organic inactive ingredients (and here were talking about organic in the way we commonly understand it, meaning produced without the aid of man-made chemicals) into their products. So a truly chemical-free sunscreen should have mineral-based active ingredients, but will also ideally have as many organically sourced inactive ingredients as possible. Look for non-nano zinc oxide. Zinc oxide is generally considered one of the most-effective and safest sunscreens out there, but make sure it doesnt contain any nano-sized particles, which may be able to be absorbed by the body. Broad spectrum protection is a must. One of the reasons zinc oxide is a popular sunscreen ingredient is that it protects against one of the broadest ranges of UVA/UVB rays of any active sunscreen ingredients. Whatever sunscreen you choose, it say it provides broad-spectrum protection on its label. Make sure your sunscreen is water-resistant. But remember, theres no such thing as a truly waterproof sunscreen. This means even the very best sunscreens should be reapplied every two hours, or after swimming or heavy sweating. Choose creams over sprays and powders. You dont want to inhale your sunscreen every time you put it on! Sunscreen ingredients are evaluated based on their safety when applied to the surface of your skin, not the insides of your lungs. When possible, seek shade and cover up. These two precautions will always be more effective against sunburn than any sunscreen. The Environmental Working Group has an online sunscreen database where you can look up your sunscreens and see their top picks. However, since EWG is an American organization, not all of the sunscreens listed will be available in Canada, so stay tuned for a follow-up post on some of my favorite sunscreens available in Canadian stores. 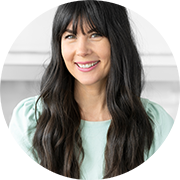 Kate McDonald Walker is a Toronto-based yoga teacher, holistic nutritionist-in-training and outdoor enthusiast. She has had skin cancer and it was not fun, so she takes sunscreen shopping very seriously. how do you know if a sunscreen is a non-nano zinc oxide one?